What’s in an egg? Seems like a simple question. Yolk and white, right? Right. Unless the egg is part of a fast food meal. Then you’ll probably have to expand your definition to include a list of non-egg add-ins. How can the call their adulterations eggs? 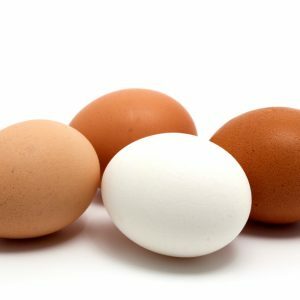 According to the Washington Post’s Caitlin Deweuy, the Food and Drug Administration (FDA) doesn’t define “the food commonly know as eggs.” In fact FDA rules preclude it from doing so. That leave the door open to add some bonus ingredients and still call it an egg. Do you care? Eggs or augmented fast food egg products? What’s the difference? Forbes Magazine says: Subway’s regular egg omelet patty, in addition to whole eggs and egg whites, includes propylene glycol, a solvent for food colors and flavorings, also used in anti-freeze, to lubricate air-conditioner compressors, and in deodorant sticks. Imagine a hen’s bewilderment if she found herself roosting on that hatchling. Think she could tell the difference between Subway’s eggs and hers? As to fast food non-egg add-ins, Burger King says its liquid egg is whole eggs with salt, xanthan gum, citric acid, annatto, butter flavor (sunflower oil, natural flavors) and medium chain triglycerides. A note here: The Environmental Working Group database of 80,000 foods lists natural flavor as the fourth most commonly listed ingredient, trailing only salt, water and sugar. In this instance, Burger King’s natural flavor may be helping its butter-flavored product taste more like butter so its egg product will taste more like egg. Taco Bell defines its eggs as “cage-free whole eggs, soybean oil, salt, citric acid, pepper, flavor (sunflower oil, flavors), xanthan gum, guar gum.” Not sure gum would be in my dream breakfast. Which brings us back to the FDA. It’s been a very long time since its definitions were updated to keep pace with the new food marketing. Can nut and bean juices be called milk? Can lab-grown products be called meat? And while they’re at it, what is “natural”? With today’s laboratory-designed food advances, shouldn’t the product names actually describe the product? Shouldn’t the food definitions be designed to help the guy at the drive-in window as much as the one selling the stuff? One company, Panera, thinks so. In January, it petitioned the FDA to update its egg definition. They are hoping to distinguish between their unadulterated egg breakfast sandwich and the ones sold by others featuring egg products with fillers and additives. Perhaps Panera was channeling the Forbes article, which lists other ingredients, beyond propylene glycol, in Subway’s eggs, things like water, nonfat dry milk, premium egg blend (isolated pea product, salt, citric acid, dextrose, guar gum, xanthan gum, extractive of spice, propylene glycol and not more than 2% calcium silicate and glycerin to prevent caking), soybean oil, butter alternative (liquid and hydrogenated soybean oil, salt, soy lecithin, natural and artificial flavors, beta carotene (color), TBHQ and citric acid added to protect flavor, dimethylpolysiloxane (antifoaming agent added), salt, beta-carotene (color)). Granted. Most companies list their ingredients. I found them. So can you. It’s just that many fast food consumers never look for or read the ingredient list. And if they do, they don’t have a clue which listed chemical compounds are harmful. One step in the right direction would be for an independent regulator to assure us that meat is meat, milk is milk and eggs are eggs. Otherwise we’re left to ponder how close is close enough.